My Dogs Love Me: Two Awards!?! So I was reading the responses for the previous post and got this as one of the responses from Dachshund Nola and Two Doodles and a Dane. We have nominate you for an award on our blog! First of all, I would like to thank you guys for the two awards. It was pretty difficult for me to select the ones I would nominate the awards to because for one, I wanted to spread the love and second, there were so many awesome bloggers to include. 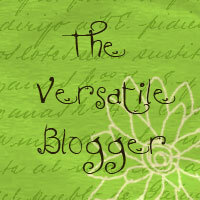 I'd like to thank Dante, Daisy Boo and Sampson for The Versatile Blogger Award. 2. Let me see... I think I'll share about me and my pack rather than myself alone. a. My pack is composed of 4 dogs and 3 humans. The oldest in the pack is Brother Dog a.k.a BD. Next there is Coal, Ginger and Peanuts. b. My mom doesn't allow all of them inside the house, so I had to bargain for Peanuts to sleep in my room. Good thing she has a soft heart, she just loves Peanuts all the same. c. The three other dogs stay on the balcony. The entrance to our house has an extension which is made of bamboo, this is where they usually stay. d. Peanuts does not leave the room whenever I'm asleep except for potty trips. My mom keeps on laughing at this fact. e. I currently have more than a dozen tabs open to finish the creation of this post. f. Brother Dog hasn't allowed a human near him ever since he stayed here. g. All our dogs are currently from our neighbors, except for Peanuts. 3. 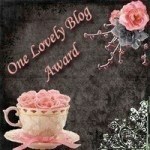 Lastly, I'd like to share this award with the following blogs. White Dog Diary Online- Here you'll read about the accounts Siku and her White Dog Army (WDA). Although I'm not sure if all of them came from Rescue but I'm sure Nuka was. Bichonpawz - LadyBug, Chloe and their mommy's adventures all in one package. Bichon Frise Overload! Catachresis - You'd think I'd get enough of Austin after giving them their second award. Well, Carolyn, this is for you- since Austin doesn't want to get cuddled and simply because you're a stats-a-holic. K-9 Katastrophie - Versatility doesn't get better than this. Want to read about the blogging turtle asking females confidently out... K-9 Katastrophie is the place. Although I'm not sure they'd respond to this since their mom is pretty busy taking a double major at the moment. Some Thoughts About Dogs - If you want to know more about dogs, check out Tegan's blog about her training experiences and other hot topics when it comes to dog ownership such as breeding, de-sexing, dog anatomy. You name it, she's probably discussed about it. Yuki and Rocket- Yuki is the diva of the two. Her mom loves to bake cookies both for humans and dogs. Both Yuki and Rocket are schnauzers which I just adore so much. Life in the Doghouse- Magic's mom brings them to schnauzer clubs and they have the Sausage race...I don't what else to say but I found this really hilarious just imagining it. Nola, thanks for this One Lovely Blog Award. This award was purposely made to recognized the efforts of fellow bloggers and let them know that their work are appreciated... and awesome!!! When I Grow Up I Want to be a Vet- Little comic strips about Doc's life as a veterinarian. Animal Shelter Volunteer Life- I know that most of us are dog lovers here. But I'm sure you guys also have hearts for adoptable kitties. Living With 6 Hamsters (And 2 Dogs) - Enjoy a day in the life of Wawa and Coco. Tooki is from Asia like me and Wawa is a stray dog she adopted. A Dog Named Muffin- This is Muffin's blog. She's a Shih-Tzu and she definitely reminds me of Buchi. The one staying with my sister. Brown Dog CBR- This is Hawky's blog. He's a retriever. I especially enjoy his blog because he when he usually forgets to reply to the comments, he will make a post about it. Congratulations on your awards! It was interesting reading about your pack. I will check out the blogs you chose that I haven't been to. Haha, you and your pack give my furry overdose so the feeling is mutual. Congratulations on your awards! woo woo woo!!! Hugs. You're welcome. You deserve it. Congrats on your awards - we love reading all the answers. Congrats on your great awards, Haopee!!! We are especially glad you received them because it gave us a chance to learn more about you and your pups. Thanks for all the great sharing. Hey OP. You're welcome. Thanks for visiting. I'm happy you guys are here. Congrats on the awards! What an honor! Thanks. I would've wanted to given you one, but you already gave one to Scrappy...I think... ^_^... so you probably are the source of our awards. Oh Thank you!!!!!! We are so flattered!!!! Congratulations - and thank-you!! I will now have to think about who I'll pass it on to. Congrats again, you deserved it!! Thanks for sharing all the info about you- Lucky Peanuts. Just stopped back to tell y'all that I'm passin' on the Pawsome Blogger Award tomorrow. Congratulations! We love getting to know more about you and your pack! Thank you so very much for choosing to share this special award with the White Dog Army, you honor us. P.S. All of the White Dog Army except for me, Siku Marie, are rescues. Quinn came from deathrow in Los Angeles; Nuka from Florida; Puff was rescued from a Kansas puppy mill where she was a breeder; and YoYoMa from Northern California. Wow, really what can we say but thank you again! You also deserve those awards because your blog is fun and interesting to read. I know I really like a blog when I can't stop writing in the comment section and I find myself doing that on your blog so often! I'm glad we read your interview on PBU and found you! Congratulations on your awards!! Thanks a whole whole whole lot for the award too! There are quite a few blogs on your list of which I'm not familiar. Can't wait to go check them out. Congrats, I love learning more about you and I can't wait to check the ones you have passed this along to. I dont know a lot of them and they sound pretty cool. By the way, Did I tell you I love your backdrop. Momma forgot to mention that we will post about this generous award that you have passed on to us over the weekend...Thanks so much once again!